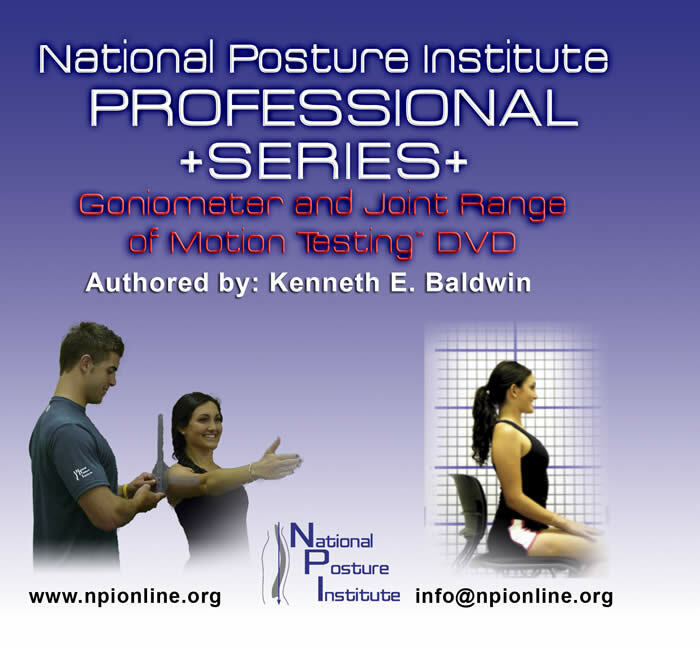 National Posture Institute branded goniometer for a professional look! Goniometers will be shipped in 3-5 days. 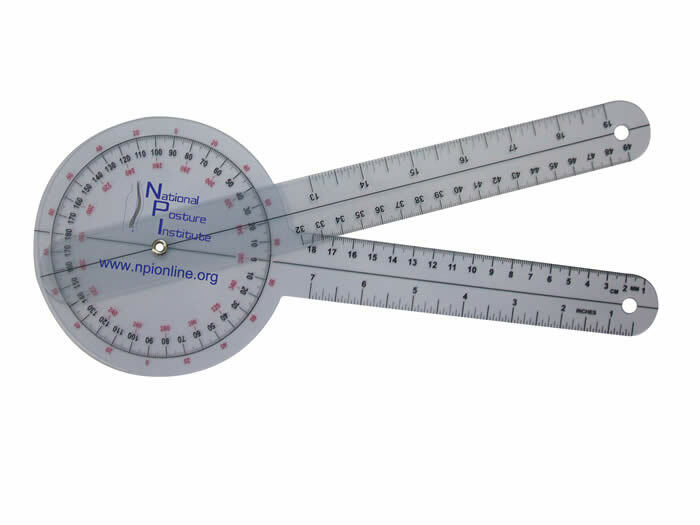 The 12.5” goniometer features a 360 degree head with 1-degree increments to ensure ISOM (International Standards of Measurement) accuracy. 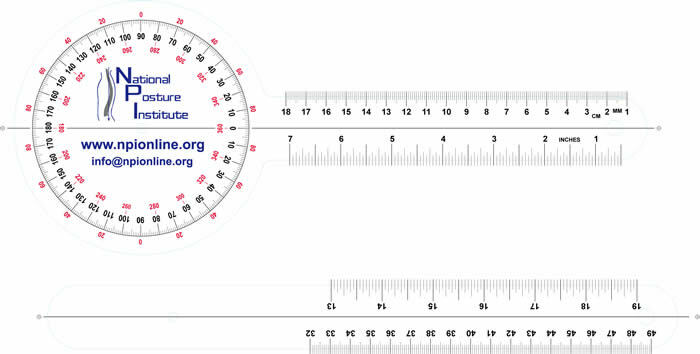 Measurements in inches and centimeters are on both arms. The clear plastic permits observation of the joint's axis of motion and range of motion (ROM).